Opened a link on your iOS browser and the app crashed? The recent iOS 9.3 software update has a bug in WebKit that it make it impossible for users with certain apps like Booking.com and Wikipedia to browse normally after tapping on links. Luckily, there is an exception: you can open links as normal is Opera Mini, in the Opera Mini data-savings mode. Download it from the App Store and get back to browsing! Because of App Store Developer Guideline 2.17, that all browsers must use WebKit, every browser in iOS is affected by the bug. 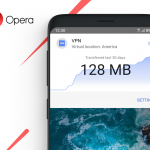 The science behind the data-savings engine of Opera Mini is that webpages are rendered in the cloud, by Opera’s engine instead of Apple’s version of WebKit. This means every browser in the App Store has to use the same rendering engine (the component that displays webpages) that comes with iOS. WebKit is a great engine, but it’s not flawless – and restricting every browser to this engine unnecessarily limits the ability for Opera and other browser makers to innovate. With the iOS 9.3 bug, hundreds of millions of users need to patiently wait for a fix and then install a completely new version to be able to browse again. On any other platform, you would simply use another browser. Browsers are not “just another app”. They are among the most-used apps in the world and provide a platform for accessing billions of websites. As seen in the past with Microsoft’s Internet Explorer monopoly, it’s crucial for web users that other providers like Opera, Mozilla, Google and Apple also push to provide the fastest, most modern browser. Opera contributed to the world of browsers tabs, Speed Dial, integrated search, web standards and many more innovations now in common use among browsers. 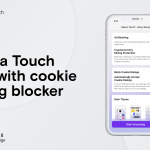 Besides releasing a fix for iOS 9.3, now is an excellent opportunity for Apple to lift the restrictions from the App Store guidelines and even to consider other changes for browser choice, like allowing users to set another browser as default on iOS. With this latest disruption to browsing, Apple has proved itself that restricting browser choice only hurts the user.